It was such a pleasure to be able to capture sweet baby Sophia and her family. Sophia was just two weeks young when I met her and her parents. I have never seen a more awake baby at that age! Ha! She definitely was in charge of the session which showed us so much of her little personality. We started off with this adorable hand-made crochet diaper cover and headband. How sweet is she? Love that littlelook she is giving me! Courtney and Paul, Sophia is so adorable…just look at that face! Thank you so much for letting me into your home to help you remember this time! 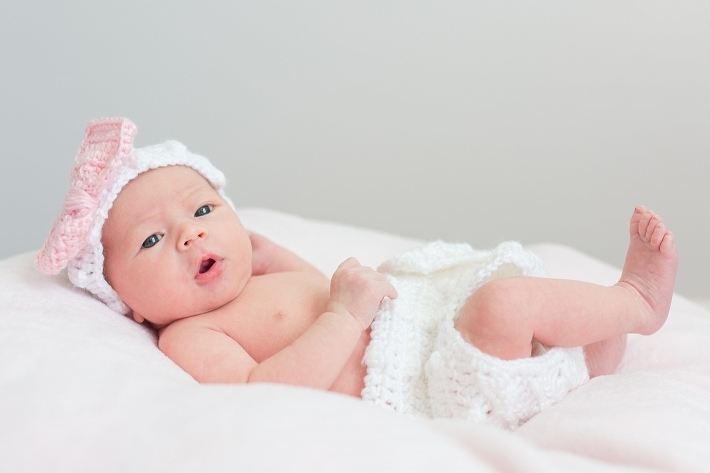 If you are looking for another lifestyle newborn session, check our baby Nora!